• Developing annual editorial calendars for each of the publication’s media kits. • Writing and issuing press releases highlighting special publication features, staff promotions and more. • Creating comprehensive marketing programs to support the Cabinets & Closets Expo, Woodworking Machinery & Supply Expo (WMS) and dozens of technical seminars he helped orchestrate during his nearly three decades with Vance Publishing Corporation. Marketing materials included creation of website content, e-newsletters, web banners, brochures, postcards, press releases and other promotional materials. Drawing upon his vast experience, Rich works closely with his clients to create press releases highlighting client news, products, events, etc. In addition, he has developed a database consisting of more than 60 North American media contacts representing woodworking media, trade associations and other outlets. Abstract: Free online directory connects tree care professionals, sawyers and woodworkers to create or grow local urban wood networks. Read the release. 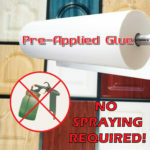 Abstract: Rigid thermos foil (RTF) manufacturers can eliminate labor, equipment and maintenance costs by taking advantage of Pre-applied GLue services from Finish Tech Corp., a North American leader for finishing wood, plastics and metal. Read the release. 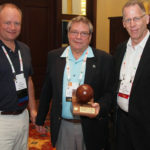 Abstract: The Woodworking Machinery Industry Association (WMIA) presented its 2016 Wooden Globe Educator of the Year Award to Scott Nelson, president of the Woodwork Career Alliance of North America (WCA). The award ceremony was held April 14 during the annual Woodworking Industry Conference at the Marriott Casa Magna Resort in Cancun, Mexico. Read the release. 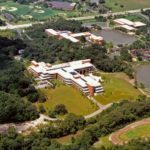 Abstract: The Illinois Arborist Association (IAA) will offer 4 continuing education units (CEUs) to members who attend the Bringing the Urban Forest Full Circle Conference, March 18 at Hamburger University in Oak Brook, IL. Read the release. Abstract: The unique opportunities and benefits of developing and sustaining an urban wood marketplace will be thoroughly explored at “Bringing the Urban Forest Full Circle,” a conference and table top exhibition scheduled for Friday, March 18, 2016 at Hamburger University in Oak Brook, IL. Read the release.